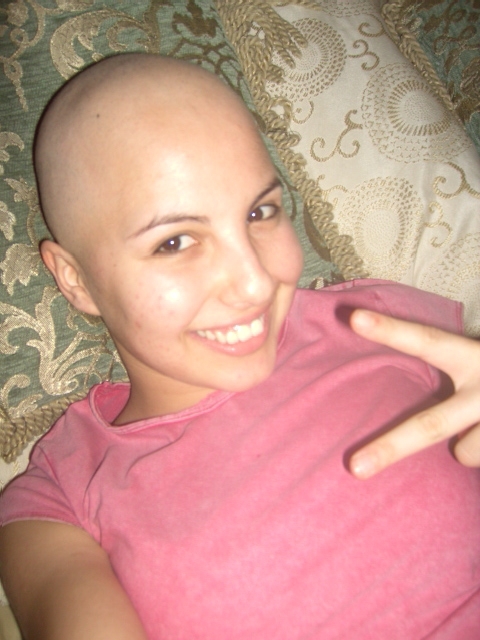 Meet Gabriela G. . .
My name is Gabriela Garibay, I am a full time student in Sacramento State University and I was diagnosed with cancer on May of 2008. I consider this the best experience of my life because it changed my life and the person who I am in a way I did not expect it. It was unexpected and I had always been a very healthy person so I never thought I could have cancer. It all started with a knee pain, that went on for nearly a year and even though I went to the emergency room many times there was no further testing because I didn’t have health insurance. Then I was diagnosed with rheumatoid arthritis, which seemed weird because it was only my left knee that was swollen and in pain. I followed the treatment as it was prescribed because I could not stand the pain anymore and other aspects of my life were being affected too. However, the pain did not stop and I went to the emergency room looking for more answers. Once again I was sent home and told that they could not help me I just had to deal with the symptoms of arthritis. To my luck, a doctor called me the next day and said he wanted me to get an MRI done because he saw something abnormal in my bone. I went that same day after school and I can truly say it is a date I will never forget. I had the MRI done and I was admitted to the hospital immediately, after a week and four biopsies I was sent home without knowing exactly what I had. I knew it could be cancer but I was just hoping for better results since it was unsure. Then I was referred to another doctor and had 3 more biopsies done. Finally, I was diagnosed with a cancer called lymphoma and the chaos in my family begun. I could not stand to see the pain in my parent’s eyes, just thinking of it brings tears to my eyes. I have learned so much about myself and to really appreciate what I have because in a blink of an eye everything you have can disappear. I take this experience has Gods way of letting me know I needed to be closer to him. For some reason every time something bad happens to us humans we turn to God for help and I was not the exception. I put my life in God’s hands and whatever he decides is best for me, I respect. However, I learned to enjoy every single day of life and to always help others because you never know when you will need the help. Ever since day one that I was admitted to the hospital the first time, I was astonished by all the love and support I received from people I did not even expected. I could not help to feel like crying once I realize how many people cared about me, I was receiving calls even from Mexico from so many persons, and it was a thriller for me. It is just amazing because until this day I receive many calls from people who want to know how I’m progressing, people praying for me, sending me food and donations. It so hard to explain how I feel and how this has had affected me. I do not believe in self pity because it only brings you down, I believe in fighting with everything you have and not being a victim. As I was going through chemotherapy, there were times I could not help to feel weak mentally but I had to keep strong because a big part of fighting any type of disease as a lot to do with your mind. Today I am a survivor and I am afraid that the cancer will come back some day however I learned to enjoy every day like it was the lost one we had. I want to study speech pathology because I have always liked to be around children and I want to help children. But when I undergone chemotherapy and I saw so many kids in the clinic that were also receiving it, my wish to do something for children grew. It broke my heart to see these babies experiencing chemotherapy and that motivated me to avoid feeling sick even if I did feel very sick. I wish I had the cure for cancer and could give it to all those who are ill but since I cannot I keep them in my prayers. I am going to graduate and help others in any way I can just like so many people has helped me. I thank God for choosing me and no other member of my family to go through this because I do not know if I could resist seeing any of my love ones go through all the side effects and symptoms of cancer and the chemotherapy treatment. I have always love taking pictures and to me being bald was awesome because I always wanted a picture of myself bald headed. It made me value every part of my body and be proud of whom I am and all the obstacles I have overcome. I would love to win this contest but what I want to do the most is spread cancer awareness and motivate those fighting against cancer. Meet Debbie H . . .
Hello, my name is Debbie and on Dec.5, 2005 my life changed in an instant. 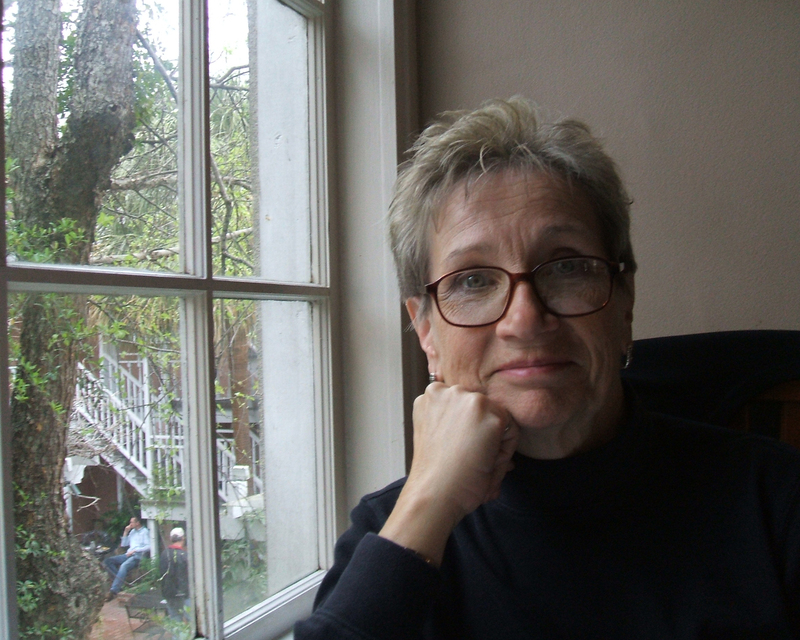 I was diagnosed with Stage 3 Breast Cancer – HER2. I endured 2 months of chemotherapy, followed by a double mastectomy, radical on the right side along with an axillary node dissection. Then I had another 2 months of chemotherapy followed by 33 radiation treatments. After that I received weekly Herceptin IV therapy treatments for a full year, which unfortunately did not stop the spread of the cancer. By August of 2007 the cancer had spread from the lymph nodes to my bones. The cancer is now considered Stage 4. It is now in my right rib, right ischuim area and left hip. I am on daily oral chemo for the rest of my life. My life expectancy is two to two and a half years as of August 2007. For me, these statistics are only numbers. I will defy these odds! I will never surrender to this cancer! I didn’t share my story with you for sympathy, but to encourage you to live your life to the fullest! You see, I’m 45 yrs. old and I didn’t really start living my life until Dec. 5, 2005. I believe all bad things happen for a reason. My cancer has been the greatest gift in my life. It has taught me many life lessons and I have truly learned what is really important in life. So, this experience my friend is a rare, beautiful and priceless gift to cherish with all my heart. I have created Warrior Princess Wear, LLC. with much love, compassion and inspiration. I hope you will find a design that speaks to your heart. May my inspirational wear inspire you in your life. I ask you to do a monthly self breast exam. It is easy and only takes a few minutes. little voice inside of you. Your intuition is always right and only you know your body. Part of the proceeds from your purchase will go to Bosom Buddies, a non-profit organization of caring volunteers who have personal experience dealing with the trauma and challenges of breast cancer. Their mission is to provide support through the sharing of common experiences and knowledge. Their goal is to assure women that they are not alone in their journey through breast cancer. Bosom Buddies is near and dear to my heart. They have done a lot for me and this is my way of giving back to them. Thank you for helping make a difference in the lives of others. Meet Erica S . . . I like to think of myself as a particularly bright inspiration for cancer survivors as I am a performer of Middle Eastern style dance – or better known as a belly dancer. How about that – a breast cancer survivor belly dancer! My name is Erica, I’m 51 years old and found a lump in my right breast in April 1999. My sons were young and my family was in shock, were frightened and felt helpless to do anything other than be supportive. After a lumpectomy, chemotherapy and radiation, I recovered. Over three years ago I experienced an accident after passing out from a new medication and had to have three plates repair the broken bones in my face. Two years ago I had to have 12 months of Interferon treatment. I am quite happy to say I have been cancer free for over 10 years. I can’t say cancer changed my life overnight, but what it did do was make me aware of the food my family ate, our exercise, our environment. I started buying and cooking organic, hormone free fresh foods, meat, dairy and poultry. I made sure we recycled and used chemical free household products and I realized most importantly, life is short! Live in the day, stop whining, get out and do something good for yourself and others! If you have ever seen or experienced something amazing when you were younger that you’ve never forgotten you will understand when I tell you that as a teenager I fell in love with belly dancing the first time I saw a troupe perform. What those women did with their bodies was so beautiful and mesmerizing, no matter the age or size of the dancer. Through their music and dance, these women touched my soul as a young girl. Now, as an adult and all my medical issues, I truly needed to feel good about myself, my body and my face. Since my children were now grown, there was time for me to study belly dance! I have embraced the beauty of the feminine and celebrate all women who put it out there! I work full-time at my regular job and dance almost every evening, either in practice, teaching or performing. Dance has taught me to love myself, except myself, love my sisters and best of all, to share the joy. I would love for all women to accept and love themselves. Life is short – dance! Meet Kathy Z . . . 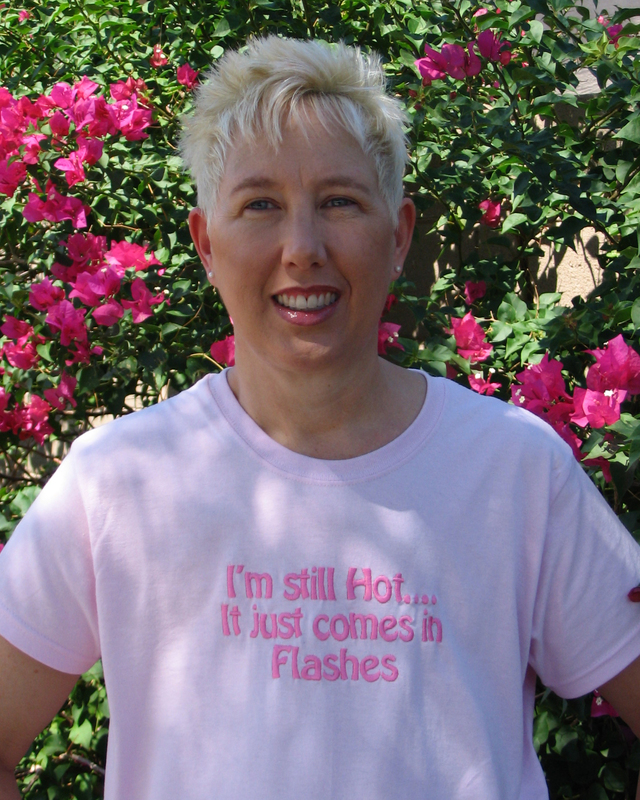 When I was diagnosed with breast cancer in 1987 at age 43, I was angry and frightened. My husband, daughter and son cried together when I told them, but I decided that a positive attitude was the only way to cope. I had spent most of my life traveling all over the country as an Air Force wife and mother, but it was time for a new direction and challenge, so I applied to law school and was accepted. I was still receiving chemotherapy during my first semester and wound up hospitalized with a blood infection just prior to my exams, but I managed to get through that difficult year and graduate with honors. As well as working as a healthcare attorney, I became active in the National Breast Cancer Coalition. I have been an advocate to increase funding for breast cancer research and worked to pass legislation on prohibiting genetic discrimination. This summer I celebrated 22 years cancer free. Although I am retired now, I am still working to help those who have been newly diagnosed through my role as President of Bosom Buddies, a Phoenix area group of caring volunteers. We provide support groups, a hotline and education for members. We travel to Washington every May to keep fighting for a cure for breast cancer so that my daughter and granddaughter will be safe. Since our contest says to send in stories starting the 15th I didn’t expect to come in this morning to some of the most amazing stories I have ever heard from such strong, empowered women! It makes me feel so lucky to be a part of this! It is definitely moving to see how willing these women are to share their stories, so please take the time to read through them and cast your vote starting on November 1st. Each story is magnificent in its very own way! These women are all winners, which is why I am so happy that I don’t have to choose! 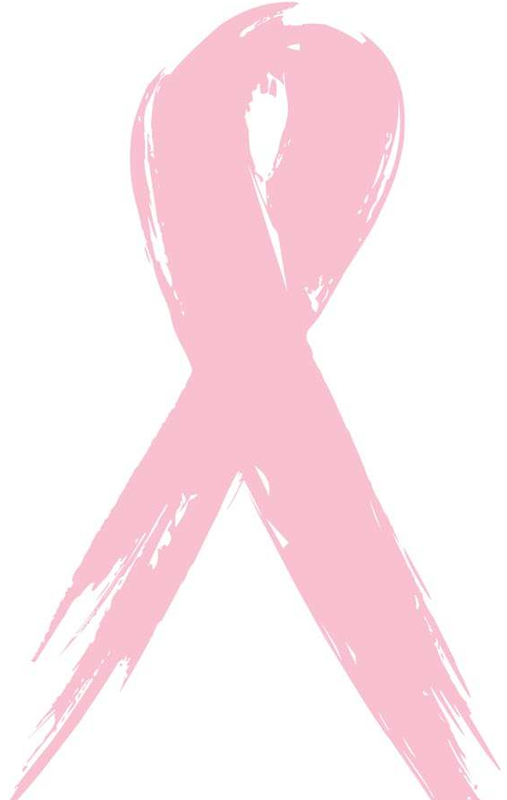 Contest In honor of Breast Cancer Awareness . . .
Research shows us that the impact of breast cancer can be minimized with accurate information. As an all female team we are committed to supporting this cause and proud to be providing Arizona women a place to be photographed in a way that builds confidence about their bodies once again. The pampering that occurs during a CelebrateSexy photo session helps ease feelings of vulnerability. After surviving such a serious health challenge, women sometimes feel betrayed by their bodies. The final photographs help to bridge that gap, building peace and self-assurance. These stunning images provide the final proof: No longer a patient, you survived. And you are stronger and more beautiful than ever. This contest is for any woman who has survived cancer in any form. We will be accepting entries until October 31, 2009. Looking to ‘slim down a bit’ before your session? We are happy to share this secret with you! Tell the ladies at Red Mountain MedSpa ‘hello’ for us and let them know you heard about them . . . Looking to 'slim down a bit' before your session?